TMJ pain is chronic and often debilitating illness, which affects people in the millions. The underlying conditions that cause the above mentioned signs and symptoms are structural, biochemical and/or emotional. Any one of these conditions can stimulate hyper activation of the head, neck, jaw and the related muscles and lead to tension, pain and spasm. By using the art and science of neuromuscular dentistry, we can quantitatively determine the relaxed position of the muscles that control the head, neck and jaw, and place them into physiological resting position. Through the sophisticated computerized instrumentation often used in medical specialties, we can measure muscle dysfunction and output, to derive a diagnosis and individualized treatment plan that most often will lead to improvement and/or elimination of pain. With computerized data such as electromyography (EMG), sonography (ESG),and jaw tracking, we can objectively evaluate the electrical activity in the muscles, sounds, or noises in the jaw joint, and proper functioning motion of the jaw, respectively. We invite you to explore how the use of science and technology can enhance the quality of your life, through neuromuscular dentistry. Call our office for a complimentary consultation. This is our first priority. Dr. Nelson uses a technology called ULF-TENS: Ultra Low Frequency Transcutaneous Electrical Neural Stimulation. This is gentle massage of the muscles that helps them relax. It increases blood flow and provides pain relief by stimulating the production of endorphins. We may prescribe a temporary device, known as an orthotic, to wear over your teeth. Adjusting the orthotic helps Dr. Nelson determine the correct position of your bite for maximum comfort. Wearing the orthotic can relieve your pain and other symptoms. Then he will be able to adjust your bite to the correct position. Developing a long term solution. There are several methods used for long-term bite correction. Which one is appropriate depends on the extent of your problem. One way is to shape your teeth to correct your bite. These shaping adjustments are precise, but very small, and the procedure doesn’t require anesthesia. Shaping can be used when your bite is only slightly out of alignment. A second way is to create a permanent orthotic that will fit over your teeth that you would wear at certain times. Or, sometimes bite reconstruction is needed. With bite reconstruction, crowns or onlays are used to re-shape your teeth. Finally, in some cases, orthodontics can be used to move your teeth to their correct position. Be assured that relief for your pain is available. The solution may be relatively simple. On the other hand, the TMJ and its relationship to your teeth and muscles are very complex, and a long term solution could be complex and frustrating to treat. An examination is required to be able to give you the answers you want. And, based on what Dr. Nelson discovers, he will recommend the most conservative treatment that makes things better for you. Please request your complimentary information packet or contact Dr. Rader to arrange for a complimentary private consultation. Make your request today. If you are experiencing pain, let us know when you fill out the form and we will schedule your visit as soon as possible. Headaches are one of the most common symptoms of a TMJ (temporomandibular joint) problem. Tension headaches are the most common type of headache, and the TMJ headache is a tension type of headache. It is often described as a feeling of wearing a hat two sizes too small, with pain in a ring around the head, or as a migraine headache. There are a few TMJ-related causes for tension headaches. Constant contraction of muscle fibers within a muscle, create tension, pressure or a tight feeling in the face and head, but constant tight muscle fibers prevent or reduce blood flow to that area. The body sends more blood to the areas and this can result an increase in general blood pressure to the muscles and head, sometimes referred to as vascular headaches. Clenching and grinding the teeth, which are TMJ symptoms, produce pain from the muscles in the head, which is a headache. Unfortunately, these headaches can be so frequent or severe that they are frequently misdiagnosed and treated as migraine headaches. The pain from muscle headaches can be blocked with medications, or nerves cut with brain surgery or muscles somewhat relaxed with muscle and psychological therapy, but the cause of the disease and damage from the bad bite, malocclusion, will persist. Side effects with medications, complications from brain surgery, and limited results with muscle or psychological therapy do not correct the source of the problem. Neuromuscular dentistry ensures the muscles are happy because they do not have to work hard positioning the teeth to a strained bite. By putting the temporomandibular joint back into alignment and placing the jaw into its optimal position, neuromuscular dentistry can alleviate most headache problems related to TMJ, muscle, nerve and joint disorders. The jaw area of the face is a complex network of bones, joints, muscles, and nerves. When the jaw becomes unaligned, the surrounding bones, muscles, and nerves are also affected. This includes the muscles of the face, which experience strain or spasm because the muscles are working extra hard to compensate for the unstable bite. A neuromuscular dentistcan help facial pain problems by working with the source of the problem, the bite. Your neuromuscular dentist will stabilize and realign your bite so that the teeth, muscles, and joints all work together without stress. Having a “bad bite” (malocclusion) causes an imbalance in the jaw-to-skull relationship, which in turn twists the jaw into a strained position that refers pain to the muscles in the neck, shoulders, and back. Muscles work as a team. Seldom does a single muscle work without other muscles in the team joining in. The bones in the neck, especially the atlas and axis, are intimately involved with the muscles of chewing, biting, talking, breathing, and head posture. Sore, tight, contracted muscles of the jaw will tilt the head and shoulders causing compensation from neck, shoulder and back muscles. Although the neuromuscular dentist does not claim to treat neck, back, shoulder, or arm pain, patients are pleased how frequently these problems can be relieved. Neuromuscular dentists understand that the bones, joints, muscles, and nerves in the face and neck have a complex relationship. They work to correct the bite, relieving strain on the jaw and the surrounding muscles. Once the bite has been aligned, resulting pain in many areas of the body disappears. If your neuromuscular dentist diagnoses the cause of your tinnitus to be an unstable or misaligned bite, he or she can work with the source of the problem by stabilizing and realigning the bite so that the entire jaw area works together without pain. Your bite will be back to its normal position, relieving the ringing in your ears that was caused by the misaligned bite. Sensitive or sore teeth are common symptoms of TMJ. If the teeth are the cause of TMJ then any or all of the teeth may be sore. The teeth may also become sensitive because of clenching or grinding the teeth, a common action in many people, when the disc of the TMJ is displaced. Unfortunately, when seeking relief from this tooth pain many patients are misdiagnosed and may even go as far as having the nerve from the tooth removed with root canals or even having the tooth extracted. The worst part is that these measures may not relieve the pain, and can actually make it worse! 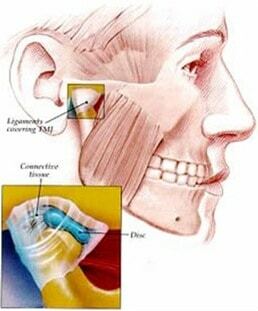 Neuromuscular dentists relieve sensitive and sore teeth related to TMJ by going to the source of the problem-the “bad bite” and misaligned jaw. In most cases, correction of the bite can be accomplished without the use of surgery, and patients report long-lasting pain relief. The nerves and muscles in the jaw area of the face are very complex, so when your bite is off, these nerves and muscles are also affected. A misaligned bite can cause the muscles throughout the jaw, face, neck and shoulders to go into spasm. When these muscles (scalenes) are in spasm they can pinch the nerves (brachial plexis) leading down the arms and into the hands, which in turn results in feelings of numbness or tingling. Neuromuscular dentists can help you with numbness or tingling in your hands or arms by working with the source of the problem-your bite. Once your bite is aligned, the muscles affected by the jaw joint will be able to go back to their normal function, relieving the spasm and the numbness and tingling that are felt as a result. Clicking, popping, or snapping in the jaw joint is the most common symptom of TMJ. There may or may not be pain in the jaw when the clicking or popping sound is heard. The clicking sound may even be so loud that others can hear it when you chew or speak. Usually the cause of the popping jaw is a displaced disc in the jaw. The jaw joints are ball and socket joints, just like the shoulder joint. When ball and socket joints are functioning properly, the ball and socket do not touch because of a thin disc of cartilage located between the ball and socket. This disc of cartilage is held in place and guided by a muscle. Limited jaw movement or locking jaw may feel like the lower jaw is catching when the jaw is opened. 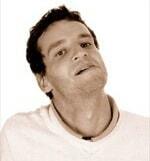 In some cases a person with a locked jaw must move the jaw to one side or the other in order to open the mouth wide. A person might also have to open the mouth until a popping sound is heard and felt, at which point the jaw unlocks. Limited jaw movement or locking jaw is often a result of a “bad bite”. When the bite is not aligned correctly it causes problems in the jaw joint, the TMJ. While not a physical symptom, the majority of people suffering from TMJalso suffer from depression, usually as a result of their condition being so commonly misdiagnosed or dismissed as having no physical cause. There is also scientific evidence that shows that patients with chronic pain, a condition that nearly all TMJ patients can claim, have chemical changes in the brain as a result of the pain. These chemicals can cause depression. For the past ten years I have struggled with chronic headaches. I experienced them so frequently that I couldn’t tell you the last time I remembered having a day without one by the time I started treatment with Dr. Rader. They ranged from dull tension headaches where l felt like I was living in a fog, finding it difficult to concentrate, focus or remember things to very severe migranes which disrupted my ability to work, study or function in any way. My vision was often blurred and the pain so intense that I could not hold my head up or even open my eyes. In addition to the headaches, I was also experiencing painful popping of my temporomandibular “jaw” joint when chewing or yawning, and pain and tenderness in my neck and ears. I had tried everything, over the counter pain and allergy medicine, prescribed migrane medicine, maintaining a healthy life style with a balanced diet coupled with regular exercise, relaxation therapy and accupuncture. I sought treatment from numerous doctors including other dentists for TMJ, Allergists, Opthamologists, and even a Nuerologist speacializing in chronic headaches. The only relief I found prior to treatment with Dr. Rader, was accupuncture, which only lasted for a short period of time. My true relief finally came this past year, after using a custom made mouth guard during sleep every night and when possible during the day. The mouth guard was custom made as a result of having a complete diagnostic workup done by Dr. Rader, which included a very extensive evaluation of my temporomandibular joint and the muscles associated with it’s function. Essentially the mouth guard was very meticulously created to ,when in place, maintain the nuetral/relaxed position of my temporomandibular joint and its associated muscle groups. This reduced the stress and tension on my joint resulting in a significant reduction of pain and headaches. This treatment has been so effective that with in the first few weeks I noticed my headaches to be both less frequent and less intense. The pain in my ears and into my neck had also improved. After two months of using the mouth guard, I rarely experienced a headache and when I did it was very mild. Now it has been 12 months since I first began treatment with Dr. Rader, I rarely experience a headache and when I do it is usually after I have forgotten to wear my mouth guard or can be attributed to lack of sleep or increased stress. I have only had two migranes, where before I was experiencing them once every week and at best every two weeks. Using my mouth guard has incredibly improved my quality of life. I am no longer irritable or stressed from the chronic pain, I have more energy and mental clarity, and I can eating without worrying about my jaw hurting. I am so thankful for Dr. Rader and the mouth guard he created for me.